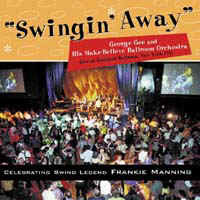 Frankie’s Centennial Savoy Ball presented rare video from Frankie’s 85th Birthday in 1999 held at the Roseland Ballroom in Frankie’s hometown, New York City. Frankie 85 was a grand event, attended by over 1800 people, featuring dancing to the sounds of The Count Basie Orchestra and The George Gee Orchestra. 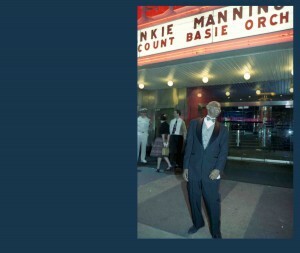 Frankie 85 at Roseland was the largest Frankie Manning birthday party held during Frankie’s lifetime. Frankie 85 was produced by Alan Sugarman (Zort Music and Executive Producer of the 2014 Frankie’s Centennial Savoy Ball) along with Laura Jeffers and Karen Goldstein. Roseland Ballroom closed its doors in 2014 – the New York Times recognized Frankie 85 as one of the most notable events held at the Roseland Ballroom. Zort Music produced a CD or the evening which included Frankie calling the Shim Sham, accompanied by George Gee Big Band. This recording has achieved iconic status and is frequently selected for Shim Sham performances, world-wide. Click here to hear Frankie Manning calling the Shim Sham at Frankie 85. 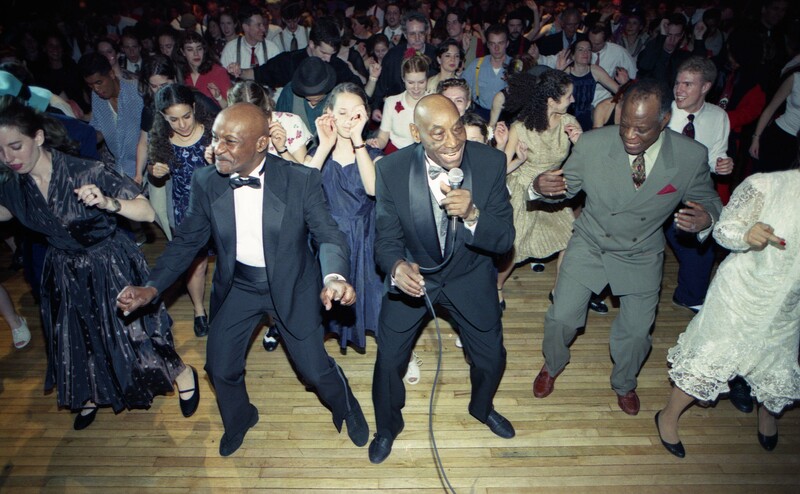 Frankie Manning Calling the Shim Sham at this 85th Birthday Celebration at Roseland Ballroom in 1999 – Recorded in Swingin’ Away. With Chazz and Charlie. 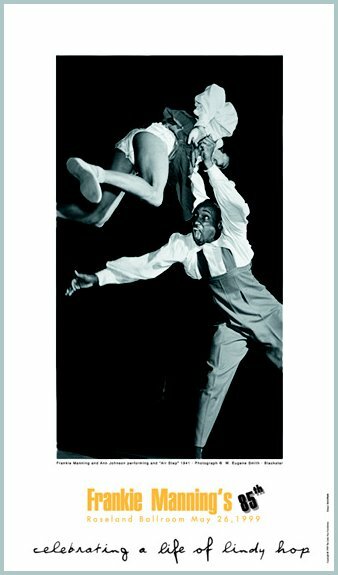 Frankie Manning at 85 tosses Lindy Hop star Jenny Thomas over his back during his birthday dance with 85 ladies, Roseland Ballroom, NYC, 1999. A photo book of the Frankie 85 party was prepared by Alan and is available as an e-book or printed book at Blurb.com. The cover shows Frankie outside Roseland. Official poster for Frankie 85 with the famous Eugene Smith photograph, designed by Paolo Lanna. This image was not in Life Magazine.